Homemade, inexpensive stink bug traps crafted from simple household items outshine pricier models designed to kill the invasive, annoying bugs. So save your money. Fill a foil roasting pan with water and dish soap and put a light over the pan to attract the bugs in a dark room. It is not only inexpensive, it is also technically pesticide-free. Not that you can drink dish soap. 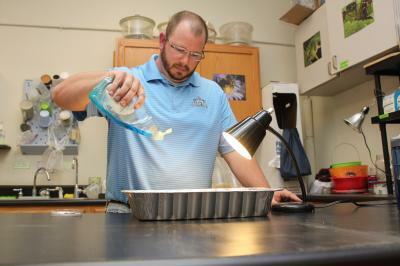 The Virginia Tech researchers say the homemade trap eliminated 14 times more stink bugs than store-bought traps that cost up to $50. That's good to know, since warm weather is coaxing the critters out of crevices of homes they were hiding in during the cold winter and homeowners will be looking for a way to get rid of the pest. You already knew that trick anyway, right? Sure, but...science...now it has experimental verification, in the Journal of Extension. Your great-grandfather would be glad to know he was right.